My mom recently lost her dog Rocky. This is him standing on the top of her chair. 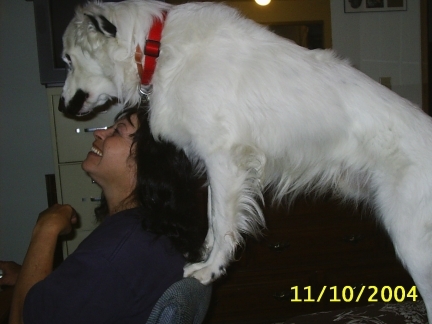 Rocky was a very lovable dog but he loved my mom more than anyone. My mom survived lung cancer a few years ago. 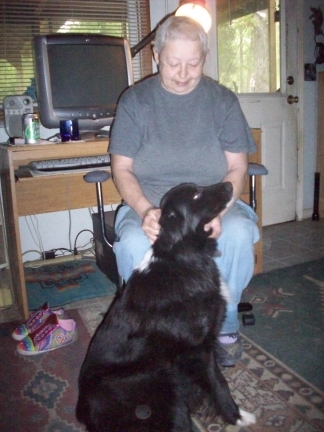 This is her after recovery and with her dog Solo. This entry was posted on March 5, 2014 at 8:14 am and is filed under Miscellaneous. You can follow any responses to this entry through the RSS 2.0 feed. You can leave a response, or trackback from your own site. Dawn, I am so sorry to hear about your mom. She is in my prayers along with you and your entire family…. We send lots of wuvwuvwuv and prayers fur your mom! xoxoxoxox, Ku and the whole pack. So sorry to hear about your mom. My mom was also recently diagnosed with cancer, but it’s breast cancer. She’s doing chemo right now and still has a ways to go. Dawn, I am so saddened to hear about your mom. She is such a wonderful lady and has seemed to do so many amazing things for animals. She is in my thoughts. Oh, I am so very sorry to hear about your Moms. What a kind and beautiful lady. I guess the apple doesn’t fall far from the tree. So sorry to hear about your mother. Hope Maya and Pierson give you the strength to keep going and be strong for her. I hope she’s not feeling too bad. Sending healing thoughts! I am sending your mom, you and your family lots of positive thoughts. What a nice post about her. I can see how much she loves animals. Gosh I am sorry to hear about your mom’s cancer. I lost my mom to a brain tumor that was a result of her having non-Hodgkins lymphoma. I will keep your Mom in my prayers for strength and healing. I’m very sorry to hear about your mom’s cancer. It’s clear that she has a big heart and is a fighter…and I hope she beats this cancer like she did the lung cancer. I hope your mom gets through this one as she did in the past. 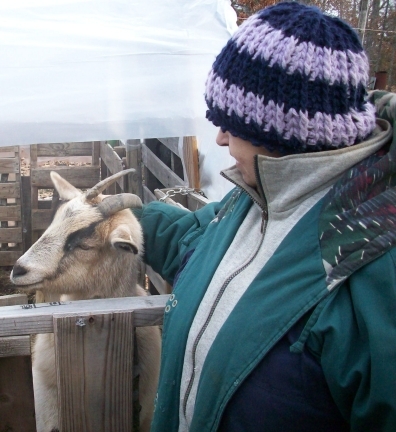 As an animal lover like your mom I know that she will handle the disease better with her animals around. Animals are known for being great to help alleviate stress, depression, and pain. All the best to her. Dawn, I’m so sorry to hear about your mom, she sounds like a very special lady. I am adding you all to my prayers, they really do work! I am so sorry to hear about your Mom’s illness. She sounds like a wonderful, loving, strong lady. I pray for her and for your whole family at this stressful time.